Residential tinting has many benefits for those of us whose home is the Central Coast of California. 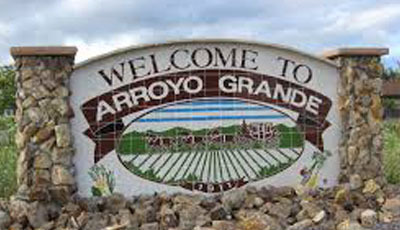 Arroyo Grande and the rest of the Central Coast is a beautiful place to live. We have extraordinary weather. The sun shines on our residential neighborhoods most of the year, which is great, but it can also have damaging effects on us and our home. As wonderful as our weather is, it can also make us uncomfortable from all the heat and glare. You might not be able to sit in a particular room or part of the house at certain times of day, because the sun is blazing through an exposed window. Not to mention the excessive heat that comes in, making it very uncomfortable unless the sunlight is blocked out by blinds or shades… but then our gorgeous views are hidden! With Apex Home Window tinting, you can comfortably enjoy those views in a cooler room with less glare. The sun’s powerful rays can cause fading to your home’s furniture, flooring, draperies, and other household items. Causing costly replacement or devaluing your home. In addition, our own skin can be affected by damaging UV rays that pass right through unprotected glass windows! Most of us know someone or possibly have been directly affected by cancer. The most common form of cancer is Melanoma, which evidence suggests, has an association with UV radiation. You might be vigilant with sunscreen when you go outside, but most of us don’t realize how UV rays can reach us even while indoors! Using residential tinting for your home windows will help reduce the actual UV rays, keeping you safer and helping your furniture and accessories last longer. If home security is a priority for you, our window films can also help. Our solar films will help keep glass fragments together if a window breaks, helping to protect people in the room. This is ideal in a nursery or child’s room. We also carry a full line of security films ranging from 4 mil. to 15 mil. to give you peace of mind inside your home. If someone attempts to break in through a home window, security film can actually slow them down. Nothing can prevent a determined individual from entering, but with security film in place they will have a more difficult time. And every second counts when waiting for help to arrive. You might be thinking, “I don’t want my home windows dark. I like to be able to see outside and enjoy the sunshine.” A common misconception about home window tinting is that it needs to be dark to be effective. With the advancements in technology, this is just not true. Achieving a healthy balance of natural light and adding protection to your residential windows is what we specialize in at Apex Tinting! We carry products that cut little to no visible light while being able to reduce UV rays by up to 99%. Our products dramatically reduce home heat build-up too, reducing your residential energy costs. Apex Tinting also specializes in decorative film for your home windows as well. Do you have a window that faces an unappealing view? Or need extra privacy in certain areas of your home? We have decorative options for that too. We carry opaque, frosted and one-way films. We’d love to hear from you, so we can talk more about residential tinting options for your Central Coast home or office!